Organically grown. Sustainably funny. Foodie approved. A culinary pull and poke parody. 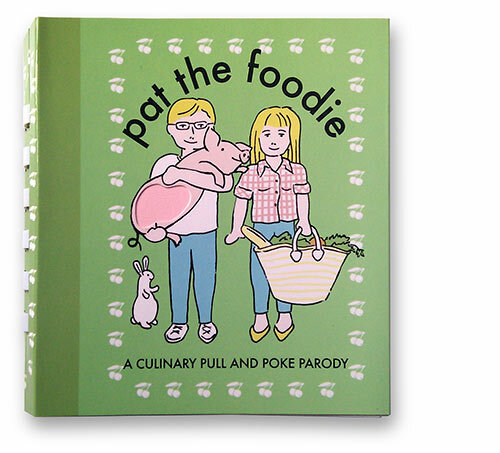 Pat the Foodie is a hilarious, touch and feel gourmet parody of pat the bunny, one of the best-selling children’s books of all time. Like the original, you’ll find Paul and Judy on every spread—but now they’re older with insatiable appetites, smart phones and a desire to get in touch with their favorite foods.